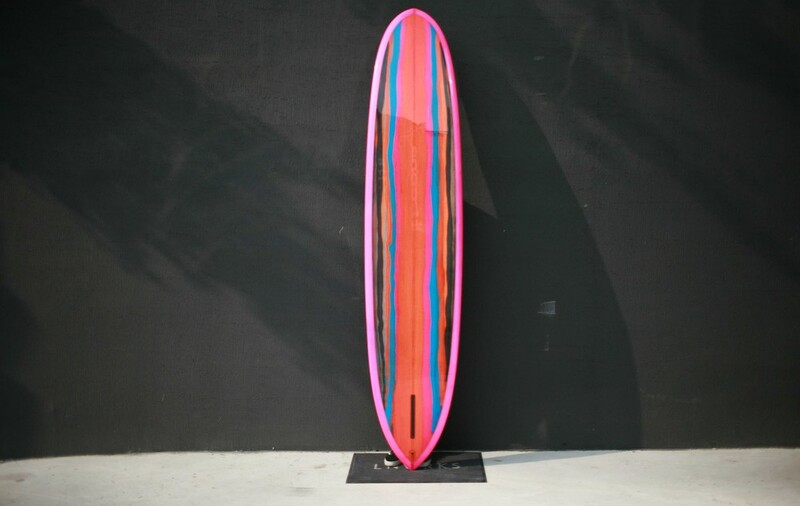 This surfboard was the model for the Ultimate Craftsman Project and was inspired by a 1967 Skip Frye shape. 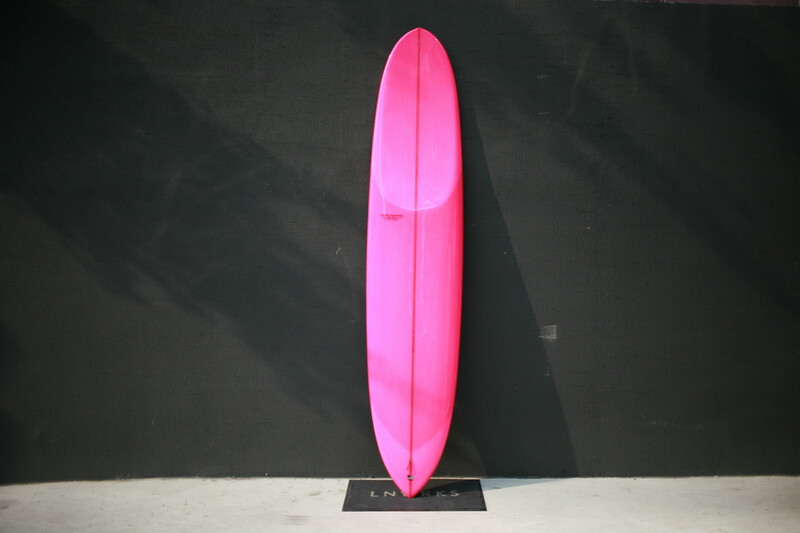 I wanted it to be really pinched all the way through the board, something different than any board you'd come across in a surf shop. The base model comes with a single stringer but can be custom ordered with special wood glue ups, pinlines, deck patches, and more.